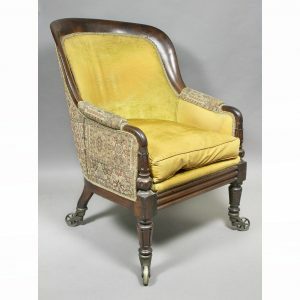 Shield backs newly upholstered in muslin comprising a pair of armchairs and eight side chairs raised on square molded tapered legs with box stretchers. In good condition. The armchairs are larger and are 24″ w x 21.5″ d and 37.38″ h.